If you want to spend some time close to nature, Simultala can be one of the best choices. You will find the place in colours if you visit it during spring, which is the flowering season. Enjoying walks down the dusty roads on a lonely winter afternoon can also be enjoyable. It can also be the best place if you want to stare at a sky full of stars away from the pollution of the cities and towns. There's a lot of greenery and the view of the hills and mountains in the horizon will add pleasure to your eyes. In Bihar’s Jamui district there is Jhajha block where in lies a small kasba by the name of Simultala with an area of a few hundred sq. kms and a population of about 10000. Lying in nature’s lap is Simultala surrounded by the scenic beauty of the surrounding mountains. Adding to the beauty of this setting is a stream that flows by. Away from the din of the cities, is this small pollution free heavenly location where many Zamindars from Bengal had bought huge pieces of land and built bungalows. They used to visit these bungalows during favorable climate or to recuperate. Gurudev Rabindranath Tagore, Sharadchandra and many such eminent writers of those times have enjoyed the nature’s bounty at Simultala. A legend of his times, the owner of the film company “New Theaters”, Calcutta, Shri B.N. 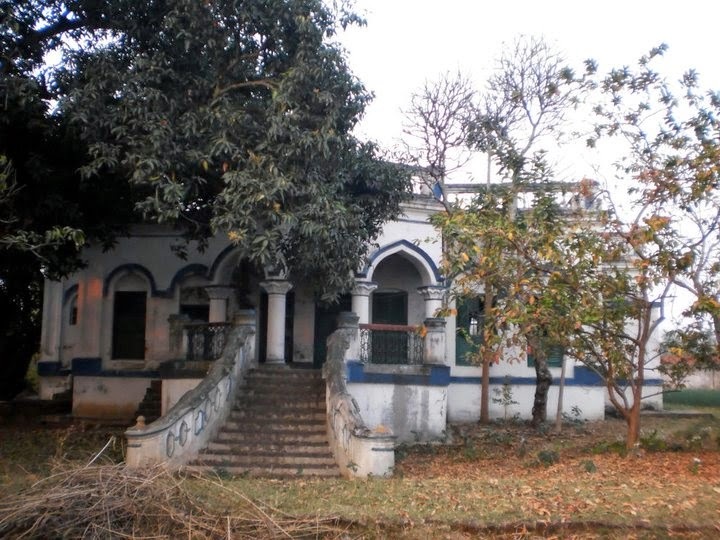 Sarkar’s bungalow at Simultala is a living testimony of its glorious past. Simultala is a small station on the Delhi-Patna-Howrah Raliway route around 19 kms from Jhajha, 25 kms from Jasidih and 30 kms from Devghar. Simultala is also connected by roadways to Patna and Devghar. The journey from Patna to Simultala is an eye treat in itself what with the beautiful landscape, deep valleys, serpent like roads and the plush greenery.click for train schedule. There are quite a few attractions in Simultala. Patna lodge (looks like a fort), Palace of Naldanga, and lawn tennis court are the other coveted attractions of Simultala. You can also go to the queen’s palace located on the outskirts of Simultala. Being located on the Chota Nagpur Plateau, the place is full of undulating lands and hillocks. The Lattupahar is a popular one. You can go there and climb to the top of Lattupahar, to get a view of the village from that height. Lattupahar, about one and half km away from the Simultala railway station, at an elevation of 1000 feet, is the most imperative attraction of Simultala. The spectacle of sunset from Lattupahar is breathtaking. 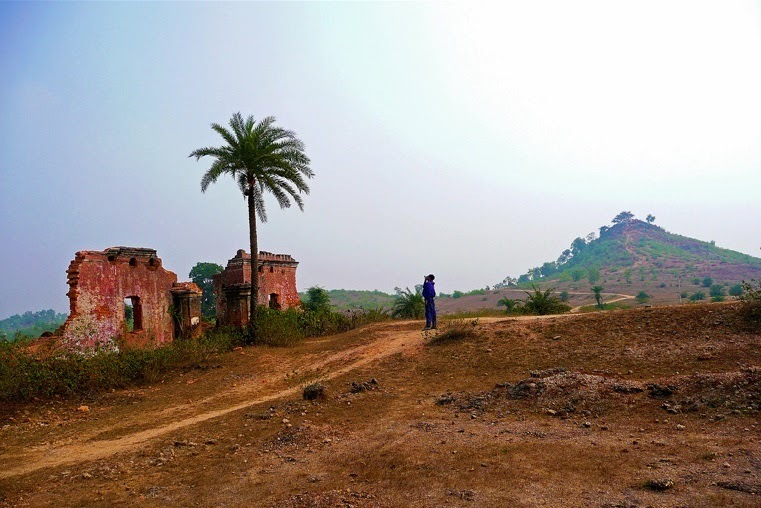 The shooting of the Satyajit Roy’s movie called “Surja Doba” (Sunset) was done here in Lattupahar. Enjoy the scenic beauty around while visiting Haldi Falls, about 6 km away from the rail line. It is believed that the water of the falls have a curative power. The wilderness of the Leelabaran falls, situated at a distance of 2 km from the railway station, is worth seeing. The Siketia Ashram definitely deserves a visit. Another very popular falls here in Simultala is Dhirhara falls, situated in Bhoyenrogunj. The falls is 2 km away from Telba River and Telba River is 17 km away from Siketia Ashram. 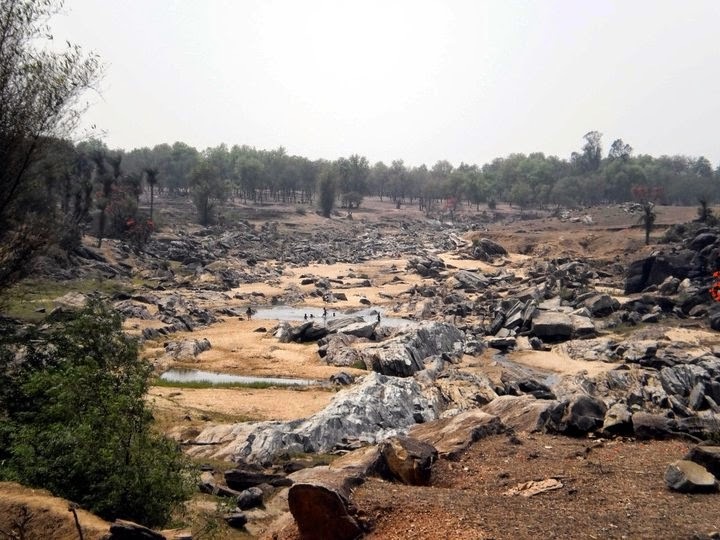 Besides, you can also spend a day on a trip to the Dharara, which is basically a river basin. Though it remains dry through most parts of the year, if you are visiting the place in the rainy seasons, you are going to get it filled with water. Hired a vehicle and went to the place. The road was clean and black and the weather was pollution free, so it is a pleasure to make the journey. You can be sited at the roof of the vehicle, to enjoy the wind. You can also climb up some highland at river basin. 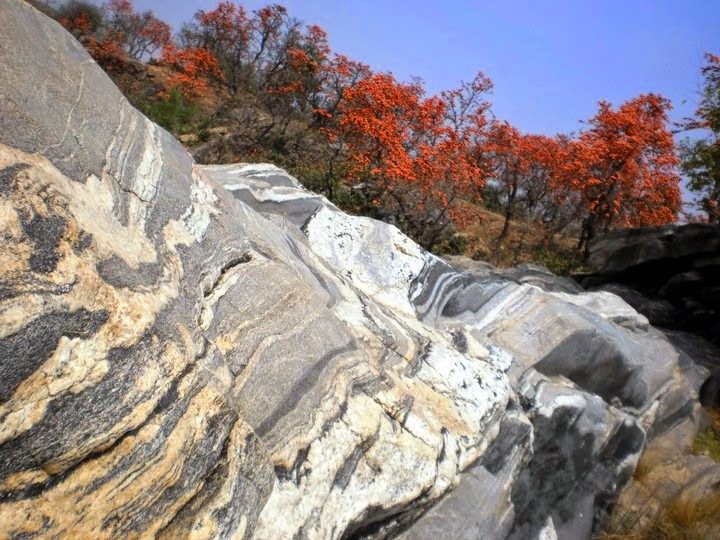 One side of the river basin is covers with "Palash" flower, it’s also known as (Flame of the Forest). If you are looking for some luxurious hotels for staying in Simultala, you are likely to be disappointed. There is hardly any so-called hotel in this hamlet. Yet, you need to have an idea about where to stay in Simultala before you visit the place. 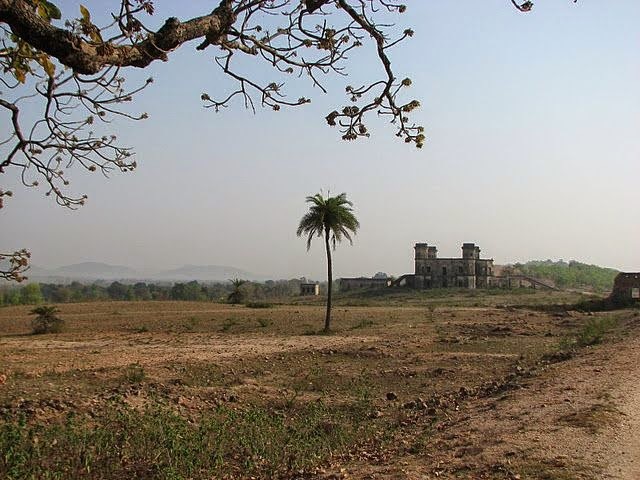 Simultala was one of the most popular places among the Bengalis in the earlier times. Simultala was regarded as one of the most popular health resorts. Rich Bengali people used to come to this place to spend their holidays or for retrieving their health. Many of them had even constructed bungalows in Simultala. Many of these are provided on rent now-a-days. You can book any of these before going to this beautiful village in Bihar. You may border at railway guest house which has a little 2 bedroom building. It is mostly hired to charge electronic gadgets. There have electricity so you enjoy fan and light. If you feel the loneliness of this area, board at guest house at walking distance from station. It is a big house like palace but there have no electricity. Electricity: There is no electricity even in these days in Simultala. Some of the guest houses in Simultala offer generator services. However, it is always advisable to carry candles with you while going there. You will also have to face pitch-black darkness if you plan to go outside after sundown. Hence, you should carry a torch and if possible, extra batteries. Food: Cooking yourself while in these bungalows in Simultala can be a good option. You can also ask the caretaker to help you with this process. You can also go for the roadside restaurants that offer local dishes. Besides, this place is quite well known for different types of sweets, such as chaana-murki, gulab jamun and others. You will also get the Indian snacks, such as samosas in the small shops of Simultala. Savor the taste of the sweetmeat called “Langcha” from the shop of Gupta. The taste of this Bengali delicacy is wonderful. Safety: You should also stay safe, as there had been reports of Naxalite activities in the area in the past. Try not to walk into lonely forests. Staying out during the evening should also be avoided. Hi, I am happy to get this vital information through your website. The things which we can not get on other sites its possible on your website that is why I like your posts and website. Thanks to share such as an informative post .This will be helpful to me . Amazing description, & thanks for sharing such wonderful informations with us, Thanks for sharing these wonderful images. Thanks for sharing this post, keep sharing this type of posts.